Here is a rare photo of Haitian actor and comedian Daniel Fils-Aime, AKA Tonton Bicha deeply thinking about something... It makes you wonder, what was Tonton Bicha thinking about? This photo was taken right before Tonton Bicha got on stage to perform at the 2006 Haitian Konpa Festival. Tonton Bicha is a very popular Haitian actor and comedian. 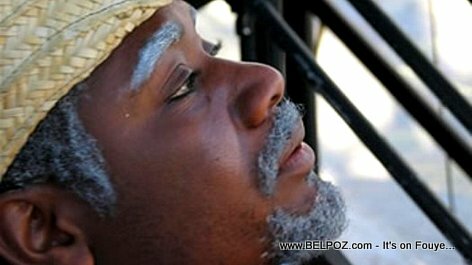 Learn more about Tonton Bicha, the actor and all the Haitian movies he stars in at the Haitian Internet Movie Database.